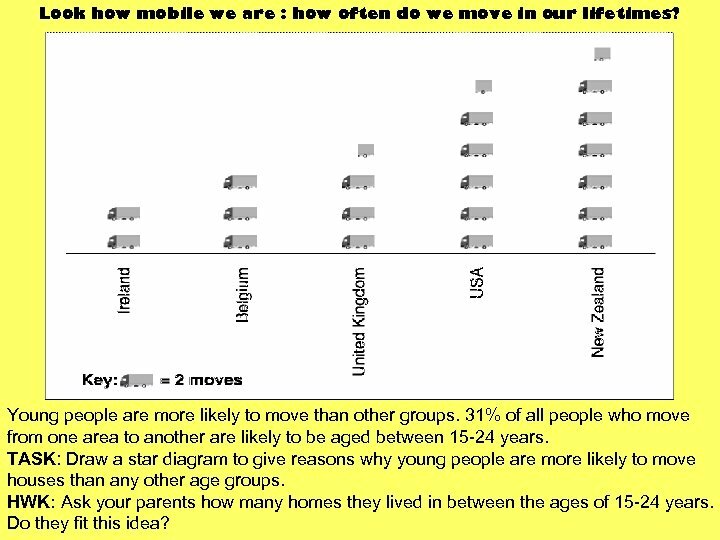 Look how mobile we are : how often do we move in our lifetimes? 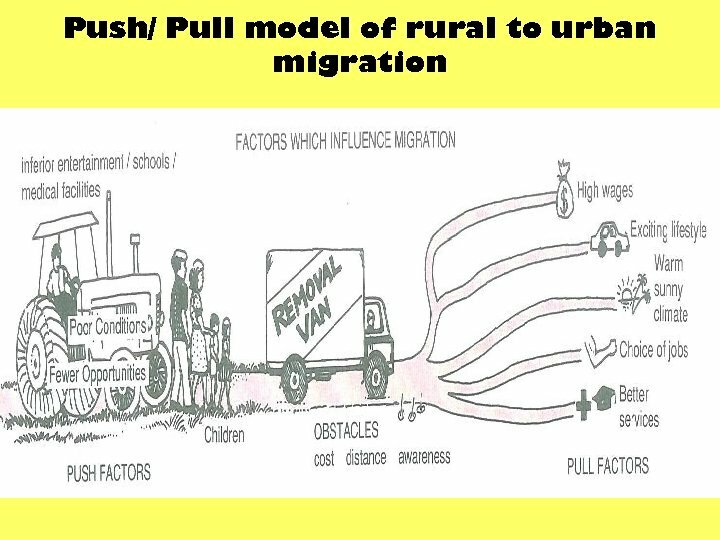 Young people are more likely to move than other groups. 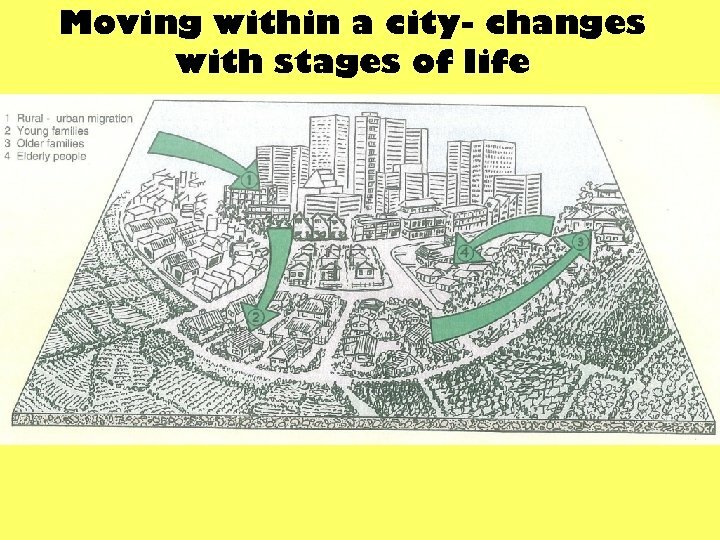 31% of all people who move from one area to another are likely to be aged between 15 -24 years. TASK: Draw a star diagram to give reasons why young people are more likely to move houses than any other age groups. HWK: Ask your parents how many homes they lived in between the ages of 15 -24 years. Do they fit this idea? 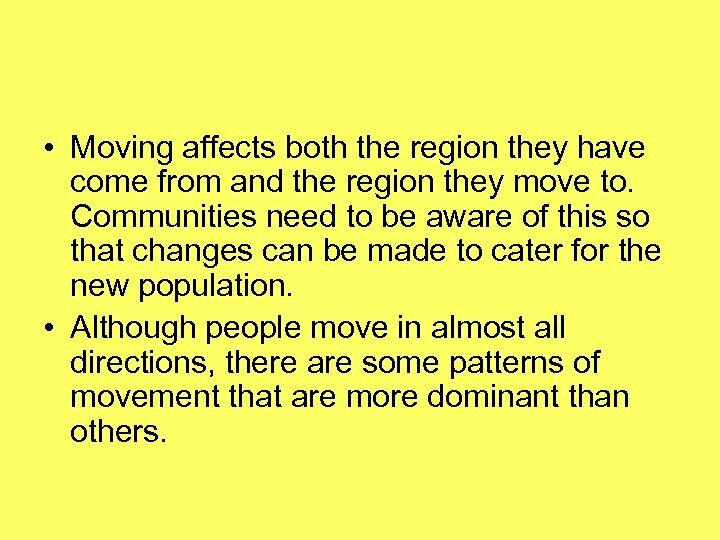 • Moving affects both the region they have come from and the region they move to. 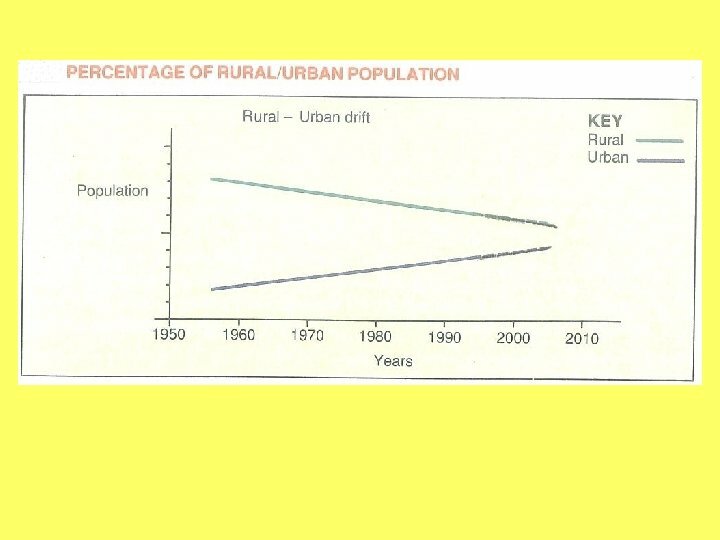 Communities need to be aware of this so that changes can be made to cater for the new population. 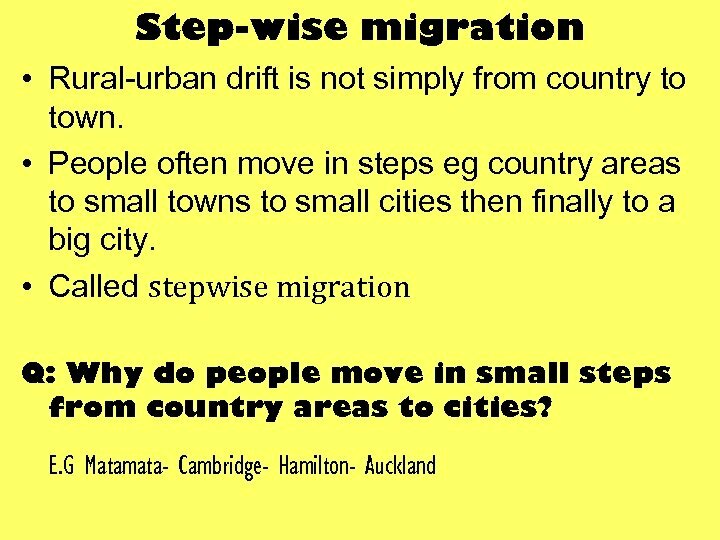 • Although people move in almost all directions, there are some patterns of movement that are more dominant than others. 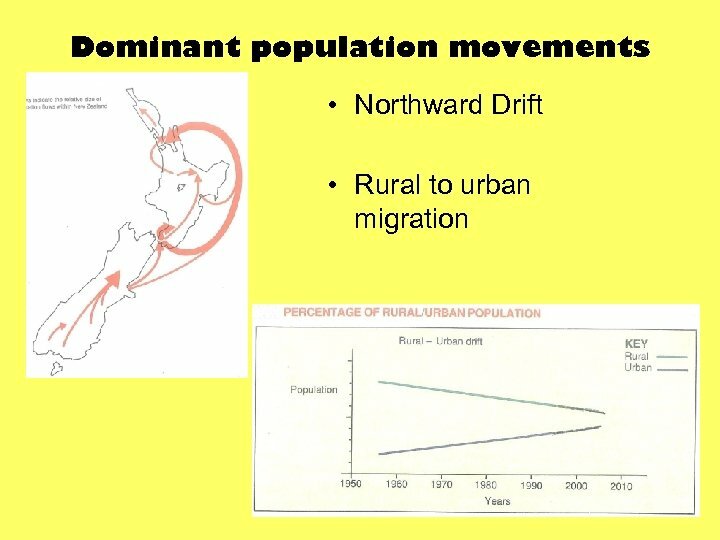 Northward Drift: The population moves north • • • The graph shows that the North Island has grown a lot faster than the South Island. 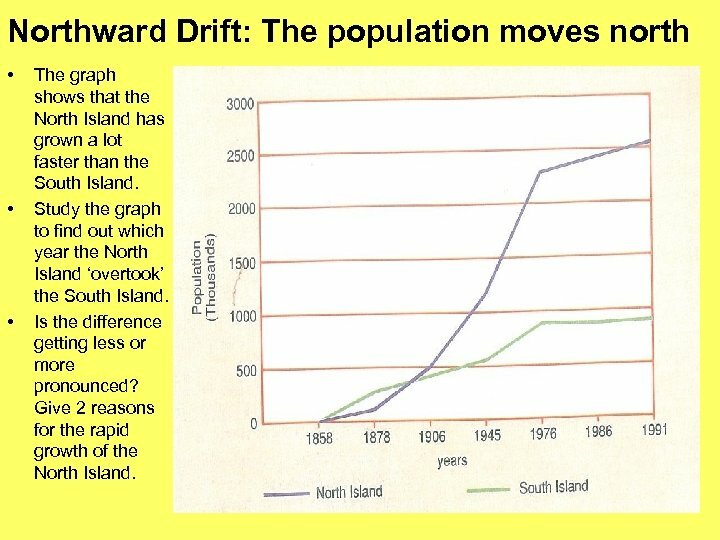 Study the graph to find out which year the North Island ‘overtook’ the South Island. Is the difference getting less or more pronounced? 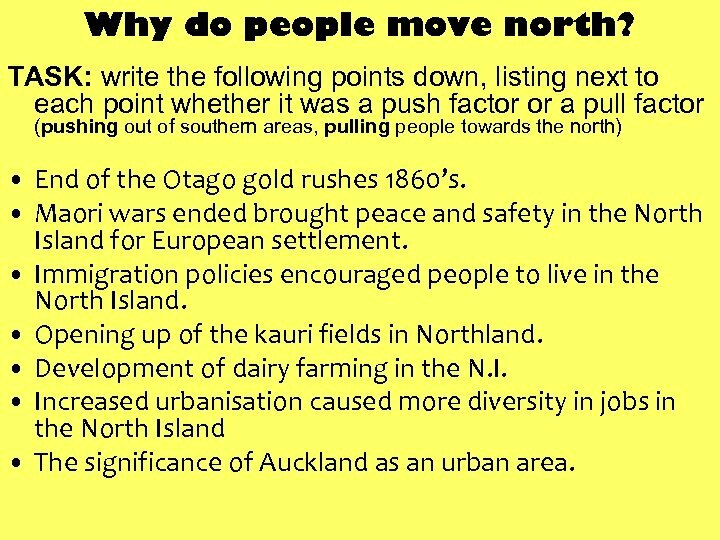 Give 2 reasons for the rapid growth of the North Island. 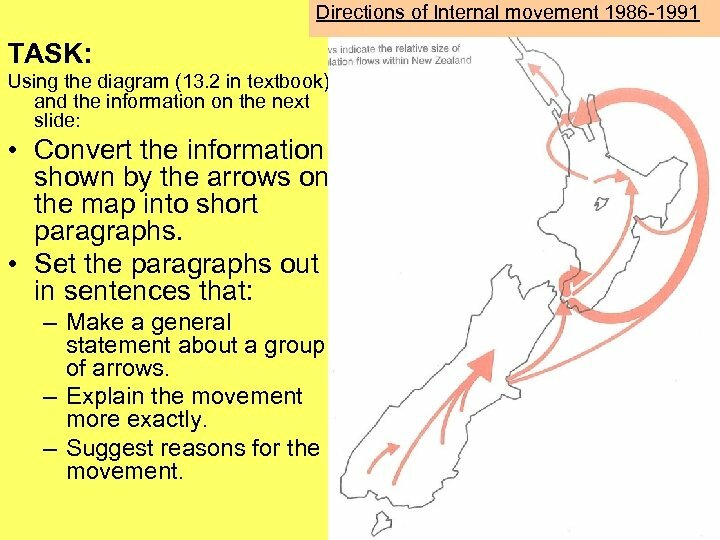 Directions of Internal movement 1986 -1991 TASK: Using the diagram (13. 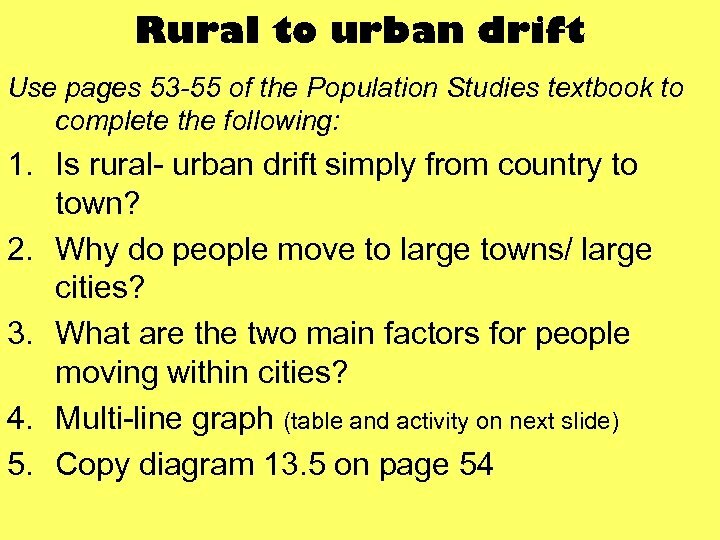 2 in textbook) and the information on the next slide: • Convert the information shown by the arrows on the map into short paragraphs. • Set the paragraphs out in sentences that: – Make a general statement about a group of arrows. – Explain the movement more exactly. – Suggest reasons for the movement. Why do people move north? 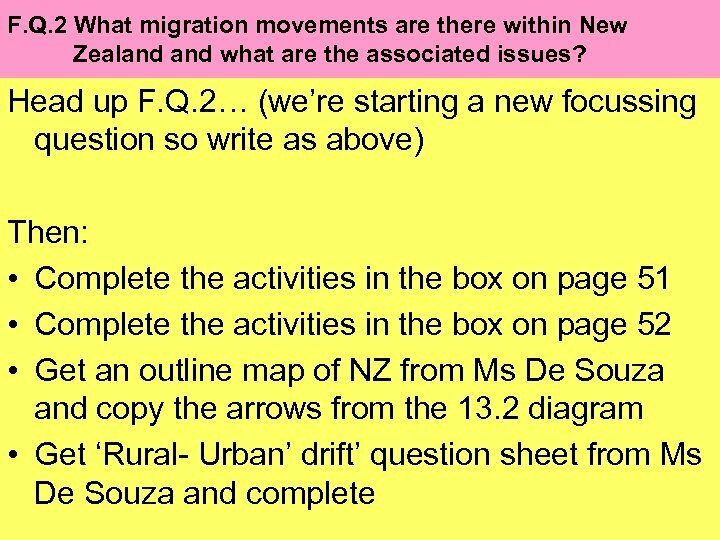 TASK: write the following points down, listing next to each point whether it was a push factor or a pull factor (pushing out of southern areas, pulling people towards the north) • End of the Otago gold rushes 1860’s. • Maori wars ended brought peace and safety in the North Island for European settlement. 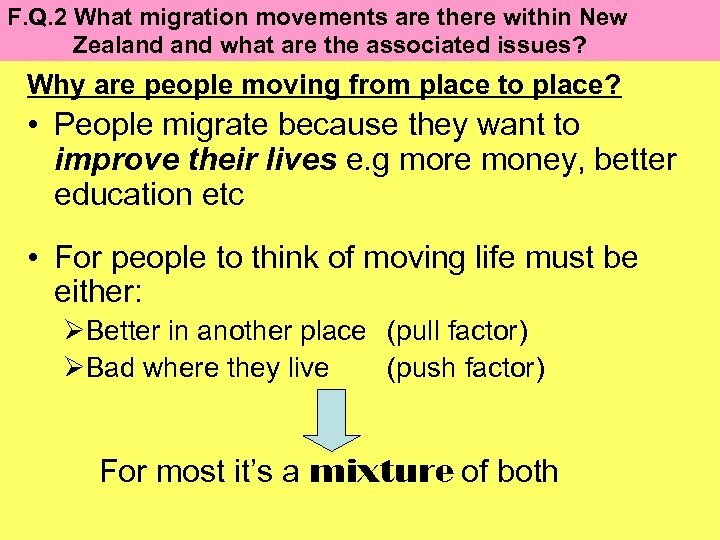 • Immigration policies encouraged people to live in the North Island. • Opening up of the kauri fields in Northland. • Development of dairy farming in the N. I. 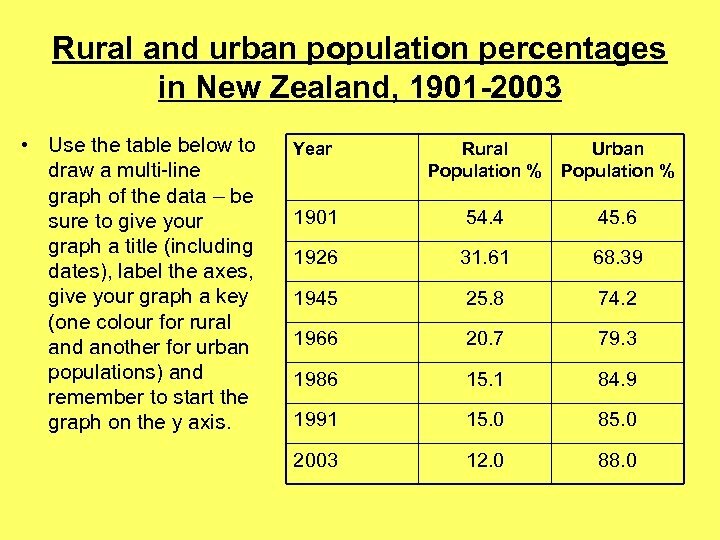 • Increased urbanisation caused more diversity in jobs in the North Island • The significance of Auckland as an urban area. 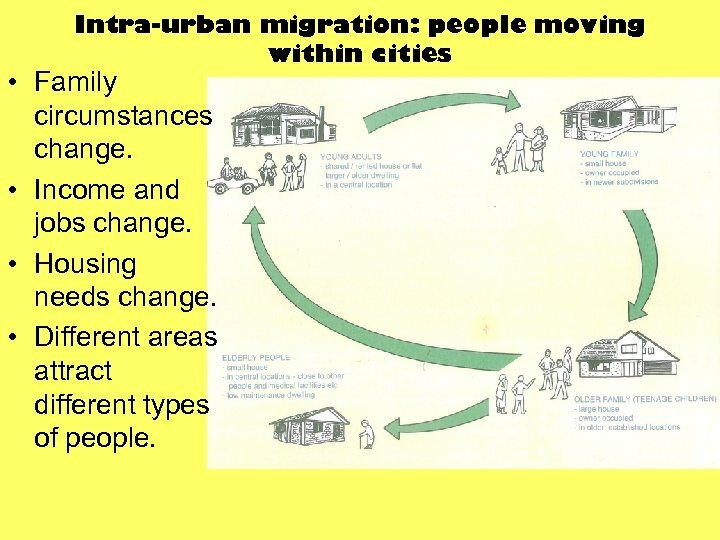 Intra-urban migration: people moving within cities • Family circumstances change. • Income and jobs change. • Housing needs change. • Different areas attract different types of people. 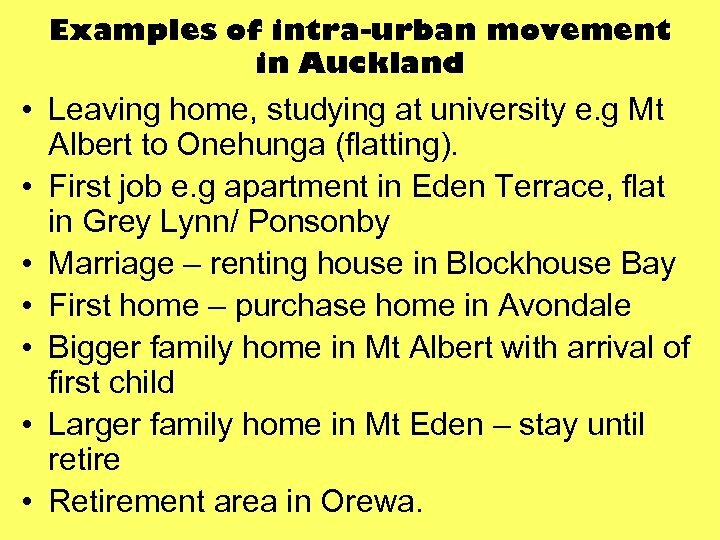 Examples of intra-urban movement in Auckland • Leaving home, studying at university e. g Mt Albert to Onehunga (flatting). 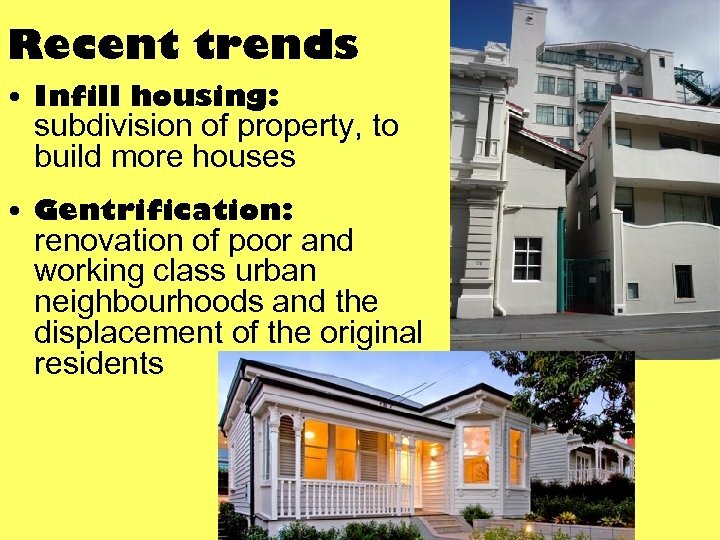 • First job e. g apartment in Eden Terrace, flat in Grey Lynn/ Ponsonby • Marriage – renting house in Blockhouse Bay • First home – purchase home in Avondale • Bigger family home in Mt Albert with arrival of first child • Larger family home in Mt Eden – stay until retire • Retirement area in Orewa. 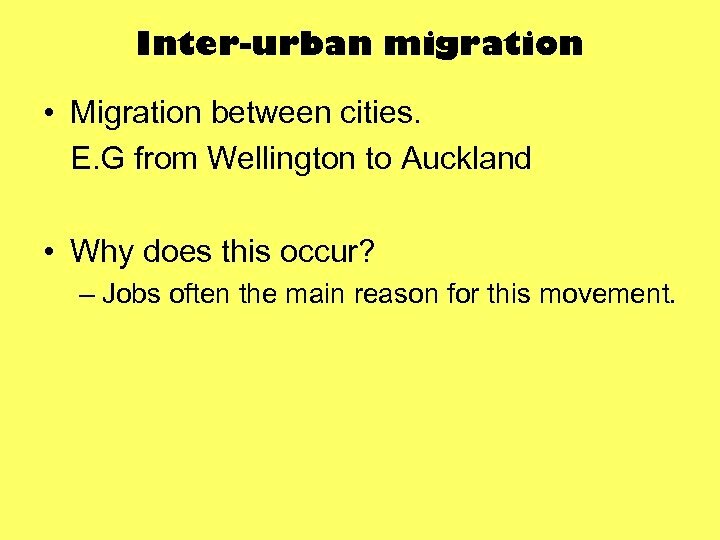 Inter-urban migration • Migration between cities. 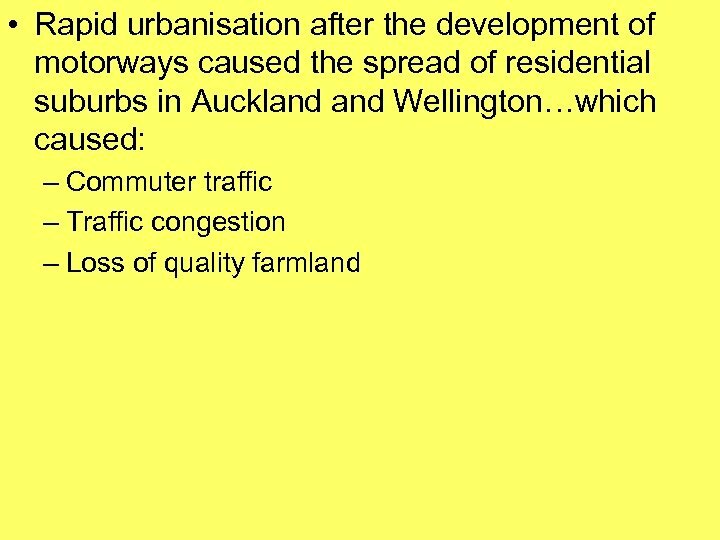 E. G from Wellington to Auckland • Why does this occur? – Jobs often the main reason for this movement. 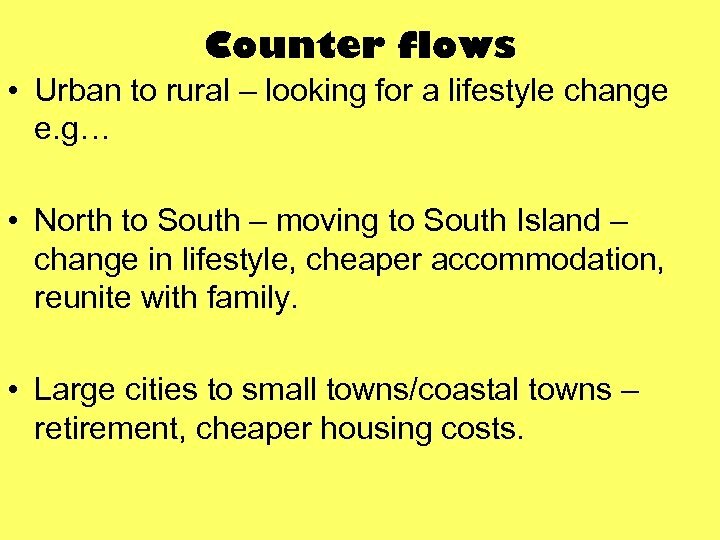 Counter flows • Urban to rural – looking for a lifestyle change e. g… • North to South – moving to South Island – change in lifestyle, cheaper accommodation, reunite with family. • Large cities to small towns/coastal towns – retirement, cheaper housing costs. 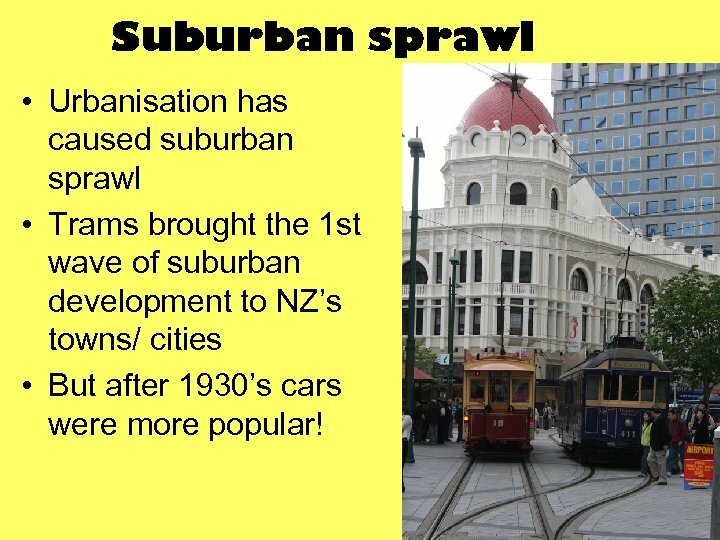 Suburban sprawl • Urbanisation has caused suburban sprawl • Trams brought the 1 st wave of suburban development to NZ’s towns/ cities • But after 1930’s cars were more popular!